James Campbell is a native of Wisconsin. He received his B.A. from Yale University and M.A. from the University of Colorado. He has written adventure travel, environmental, and military history pieces for Outside, National Geographic Adventure, Islands, Backpacker, Audubon, Coastal Living, Field and Stream, Sports Afield, Military History and many other magazines and newspapers. For his first book, The Final Frontiersman, which won one of two nonfiction prizes at 2006 Midwest Booksellers Choice and was named by Amazon editors as the #1 Outdoor Book of 2004 and one of the Top 50 titles of the year, he logged hundreds of miles on foot and snowshoe across Arctic Alaska. His fascination with New Guinea (which he has visited five times) and the war in the South Pacific led him to the story of the 32nd Division and the Ghost Mountain Boys. 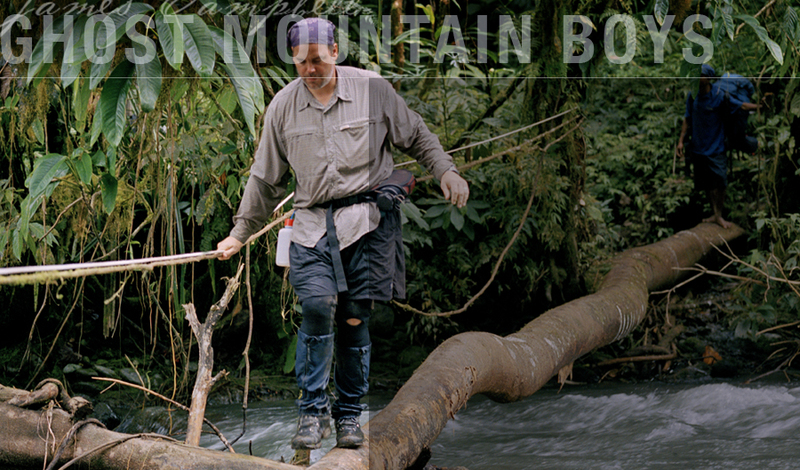 In 2006, he followed the footsteps of the Ghost Mountain Boys across New Guinea -- a journey that historians describe as "one of the cruelest in military history" -- and shot a documentary film in the process. No one from outside New Guinea had ever attempted to retrace the soldiers' route. He discovered a wilderness and mountain villages largely unchanged in sixty years. James is now developing ideas for third and fourth books.